You’ve made a list and you’re checking it twice: it’s time to find gifts for everyone who’s nice! 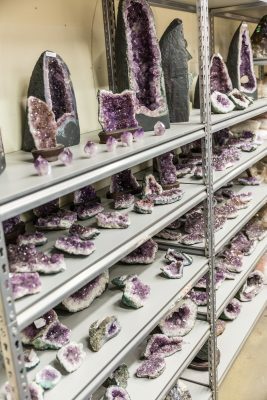 Natural stones, crystals, jewelry or décor – you’ll find it at Stonebridge Imports. 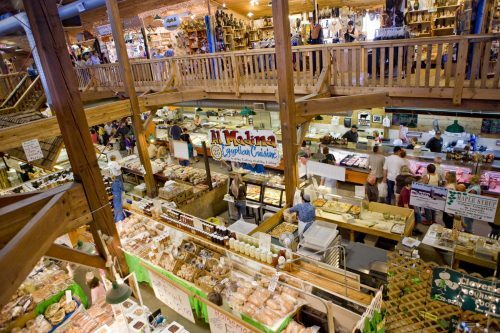 Their store is over 5,000 square feet, and offers a peaceful shopping atmosphere – a nice change from the typical holiday craziness! 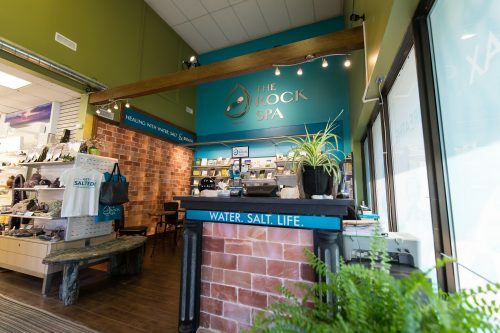 You can also pop next door to The Rock Spa – its sister business – and pick up a gift certificate for treatments that include salt therapy, flotation therapy, and its Breathe Well program. It’s a great gift of wellness for someone special! More than just terrific places to pick up locally grown produce, Waterloo Region’s local farmers’ markets offer a great selection of gift ideas too. At Canada’s largest farmers’ market in St. Jacobs, there are 3 large buildings along with the Market Tent that feature hundreds of vendors selling everything from crafts and home décor, to food that really schmecks! Not only are there many unique gifts to choose from, in most cases you also get to meet the person who crafted the gift. 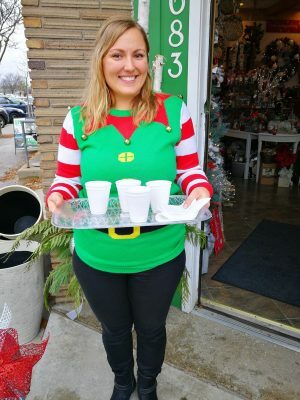 For holiday entertaining, The St. Jacobs Farmers’ Market is a great place to pick up meal supplies and treats that are sure to impress your guests. At the Kitchener Market, their vendors feature a wide array of foods that include international cuisine and fresh baking. You can also check out what’s happening in The Marketplace – where their chefs offer free cooking demonstrations during market days, and cooking classes throughout the week (wouldn’t that be a great gift idea??). In Cambridge, their annual Cambridge Christmas Market is part of the Christmas in Cambridge celebrations. 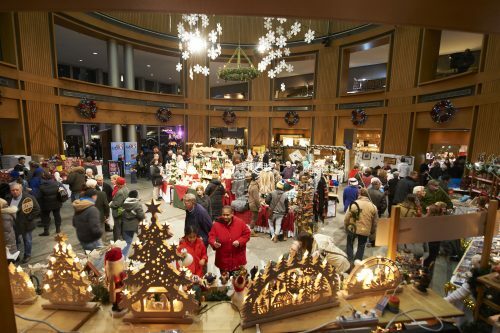 Vendors fill City Hall and Market Square to create a one-stop shopping destination for unique gifts, seasonal food and a great shopping atmosphere. 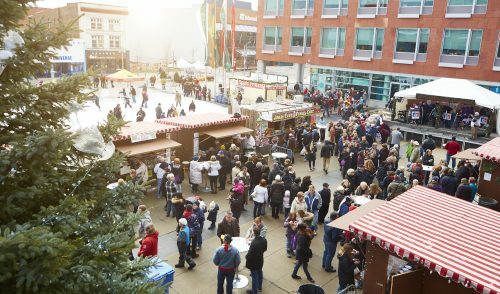 On Saturday, December 9th, the Cambridge Farmers’ Market joins in the celebrations and holds its annual Christmas Market; along with farm fresh produce and unique gift ideas, they feature entertainers, family activities and horse drawn trolley rides. It’s a great way to shop and enjoy the festive season at the same time! The celebration of a traditional German Christmas known as the Christkindl Market offers lots of unique and hand crafted gift ideas. 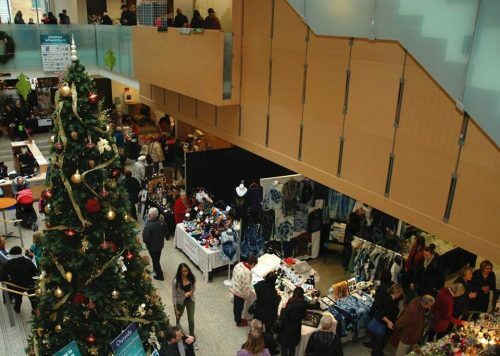 You can explore the more than 90 different vendors that fill two floors at Kitchener’s City Hall, or that are in the outdoor huts located just outside along King Street. Along with the shopping, you can also enjoy the entertainment that happens throughout the day on the outdoor stage, the children’s workshop known as Kinderecke (where the kids can make their own special gift for someone! ), and displays – including the incredible model railway exhibit! 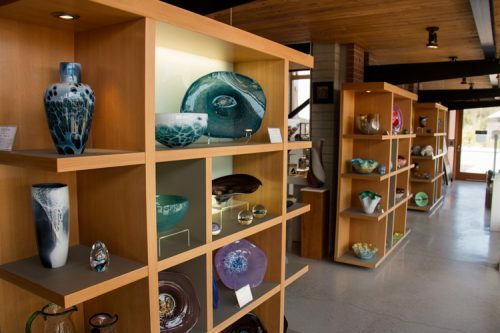 While you are probably aware of the world class exhibits the Canadian Clay & Glass Gallery has brought to the region over the past 25 years, you may not be aware the gallery is also home to an incredible Gallery Shop featuring handmade, one-of-a-kind works by artists from across Canada. Here you’ll find everything from fine production pieces and sculptures, to jewellery pieces including necklaces, rings and bracelets. You can shop at the Gallery Shop in person, or take a look at what all that it offers on line. Beautiful Belmont Village is home to an annual celebration of family and holiday fun known as Christmas in the Village. 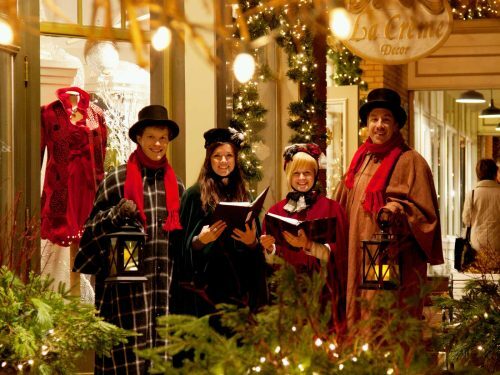 With the shops decorated for the season, the entire family will enjoy the holiday fun that awaits. And, here’s some shopping incentive for you: if you grab a special village passport and get it stamped at all of the participating retailers, you’ll be entered into a draw for hundreds of dollars of Belmont Village gift cards! You can also teach your kids the importance of ‘giving’: during Christmas in the Village donations are accepted for May Court and the Food Bank of Waterloo Region.